This Threadbear pattern has an unusual block layout. 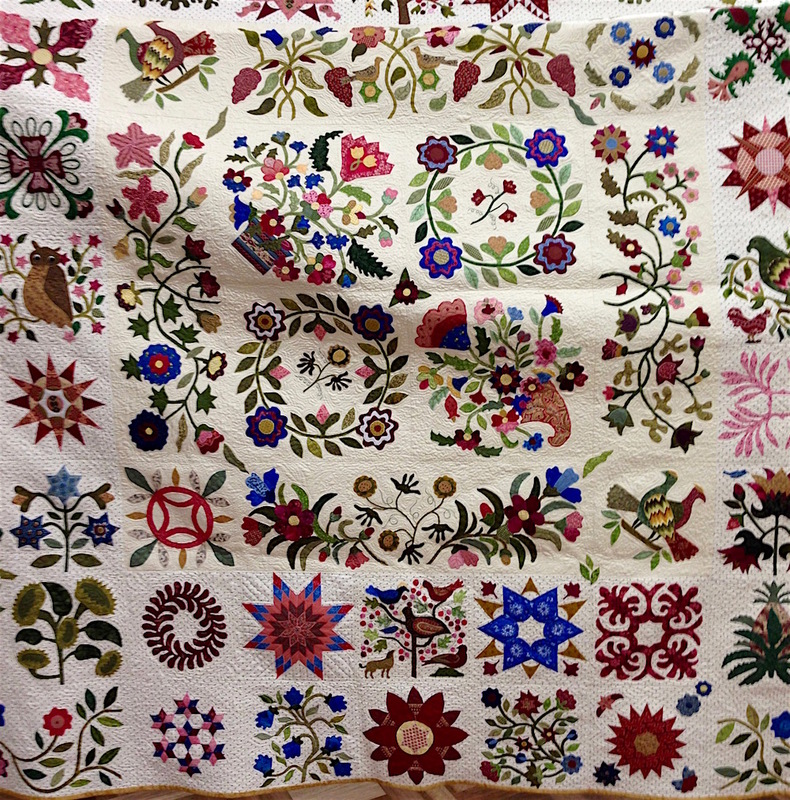 The appliqué pieces were visoflixed and either satin stitched by machine or blanket stitched. Made over 15 months including a house repaint.